The benefits of excellent nutrition for your furry companions cannot be overstated. Great nutrition and healthy weight maintenance can certainly enhance your pet’s quality of life and contribute to longevity. Selecting a nutritious diet for your pet seems like a pretty simple thing to do, doesn’t it? Well, it would be simple if there were only a handful of diets and brands from which to choose. But the truth is, the pet food market has been inundated with pet food companies, brands, and a variety of fad diets and marketing claims about what you should (or should not) feed your pet. Now, that’s not all bad – it’s great to have choices. Different pets will have different needs. We don’t want to feed a senior dog a puppy diet, and large breed dogs should receive foods formulated to address their large size. Overweight pets need weight loss diet options. Pets with medical conditions that can be managed (or at least partially managed) through nutrition (e.g., diabetes, kidney disease, pancreatitis, urinary issues, to name a few) need prescription diet options. On the other hand, with so many options available, pet owners have to also be mindful of marketing strategies or fad diets that may not be the best fit for their pets. What is the best way to decide the type and brand of food that is best for your dog or cat? Does the company employ a nutritionist? Who formulates the food and what are his/her credentials? Are diets tested using AAFCO guidelines? Where are the foods manufactured and what specific quality control measures are in place? Will the company provide a complete nutrient analysis? What kind of scientific research has been done on the product? Don’t forget that your pet’s veterinarian at Lawndale Veterinary Hospital knows and understands all the medical aspects of what your pet needs through nutrition. Our staff also understands important nutritional concepts and can help you sort through valuable information versus fad diets and marketing strategies. So be sure to involve our team in your research endeavors. We will make nutrition recommendations for your pet based on medical information, current research, and clinical experience. Your pet will also help guide you in your choices. If he or she does not like the food, then that tells you to try something different! 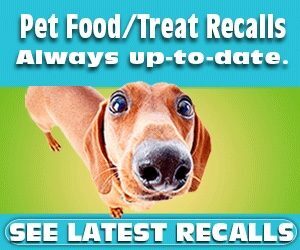 You may be able to avoid this scenario by selecting a food made by a company who performs palatability testing on real dogs and cats prior to marketing the diet. You can feel more confident that your pet may actually like the diet before you spend the money on the food. 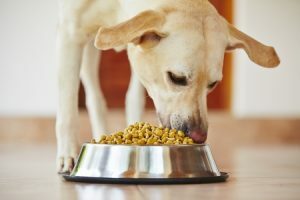 If your pet develops gastrointestinal signs after being switched to a new diet, that could be another clue showing that particular diet may not be the best choice for your pet. Of course – there are lots of reasons why pets develop gastrointestinal signs, so we always encourage you to discuss any problems your pet is having with our veterinarians. Remember that whenever a pet is switched to a new food, it should be done gradually over 5 to 7 days to minimize the chances of gastrointestinal upset. At Lawndale Veterinary Hospital, we take your pet’s nutrition seriously. We are ready to work with you to find the best nutrition for your pets. Give us a call today so that we can address your nutrition questions and concerns!